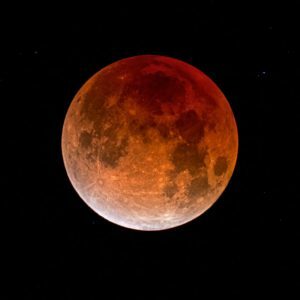 Did you know that there will be a total lunar eclipse on the night of January 20-21? Even though it is cloudy now, it should clear up on Sunday in time for most of the Southeast to view it. While a lunar eclipse is not as dramatic as a solar eclipse, it can also be stunning. This one will be larger than most since the moon is closer than usual to the earth, which makes it look bigger (some people call that a “supermoon”). It should also look red, which is why some are calling it a “blood moon.” The time that partial and total eclipse phases begin is listed below for Eastern and Central Time Zones. You can read more about the eclipse and get times for other time zones at EarthSky here. The article also contains information on why the moon appears red. Posted in Events. Bookmark the permalink. Next: Georgia Climate Project: What data sets are need to quantify the impacts of changing climate on our society?